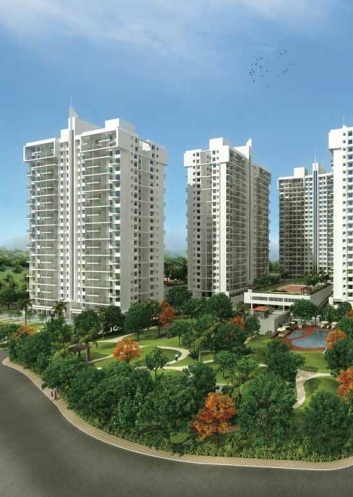 Life Republic, by Kolte Patil Developers Ltd, offers a glut of 3 and 4 bhk under construction flats in Hinjewadi, Pune. Smeared across an area of 400 acres, Life Republic can easily be compared with a miniature township. Rippling greenery is something that defines the property the best. So, whether you want to take a swift respite from the daily tantrums of city life even while being in the city itself or you crave for finding a true meaning to life, Life Republic project layout is the community that will provide you with everything you are in search of. Life is something more beyond the four walls of the room; and you are going to get every facility in the premise of the property itself. From schools and hospitals to commercial buildings and retail outlets, you will get every amenity assembled in a single hole of the project. Also, for the sports enthusiasts, it’s going to be a gala time, as there will be a plethora of sports facilities that would help them get the best of it. So, if an exclusive property providing ground-breaking amenities is what your lookout, Life Republic is just for you! Also, the presence of a number of engineering colleges in its close proximity has made the property highly sought after by the buyers.